Inforce's WML White Gen2 light is ultra-compact, durable and offers three operating modes: constant, momentary, and strobe. The high efficiency emitters provide up to 1.5 hours of runtime. The high-intensity beam fills your field of view for close to mid-range target identification. The integrated clamping design allows for seamless MIL-STD-1913 mounting on your weapon with no tools. Its easy-to-operate lockout mode ensures the light isn't turned on until you're ready. 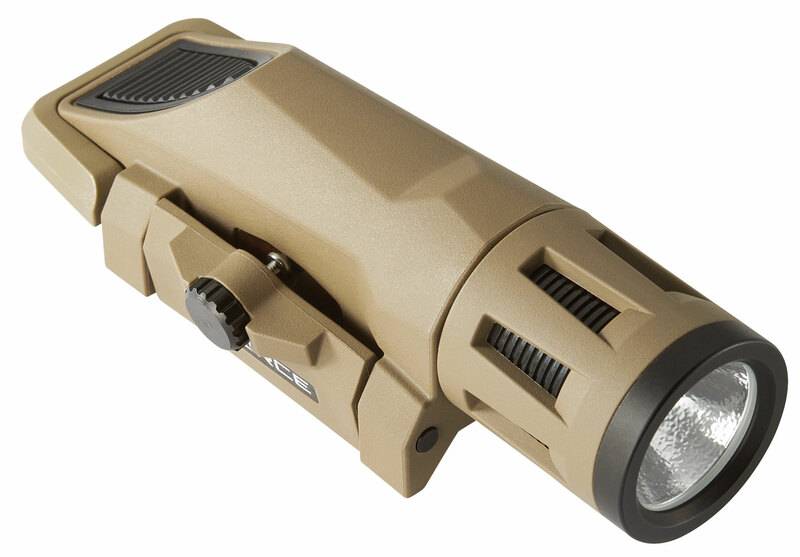 The WML White Gen2 light has an output of 400 lumens and includes one Lithium CR123A battery.This model has an FDE finish.